President-elect Dilma Rousseff’s transition team announced three more ministers who will serve in her incoming government. Carlos Lupi will stay on as labor minister, Izabella Teixeira will remain at the helm of the environment ministry and Fernando Haddad will continue to head the education ministry (Reuters). The other ministers that have so far been confirmed can be found here. On presenting a review of his eight years in office, president Lula da Silva forecasted that Brazil would become the world’s fifth economy by 2016. He also underlined that under his administration combating hunger had become a “national cause” and for him a personal pride (MercoPress). A human rights court said that a Brazilian amnesty law covering crimes during the country’s 21-year dictatorship was invalid and that the country was responsible for the forced disappearance of at least 70 peasants and militants who were part of a resistance movement (New York Times). Brazil’s recent discovery of massive offshore hydrocarbon reserves, known as pre-salt reserves, raises a question. Will the nation continue to invest in biodiesel production given its new found capacity to produce all of its diesel from the pre-salt reserves? This article by Mark S. Langevin provides an analysis of the PNPB and suggests that this national policy provides sufficient economic, environmental, and social incentives to insure its preservation and even expansion in the years to come. According to Antonio Patriota, Brazil’s next Foreign Minister, Brazil has the necessary conditions, and authority, to actively participate in the current international transformations as the world moves away from the “traditional governance mechanisms”, and for which Brazil, India and South Africa have become “unavoidable partners” in the decision making process (MercoPress). President-elect Dilma Rousseff will attempt to strengthen Mercosur institutions and establish a protagonist dialogue with United States, according to the presidential advisor on international affaire Marco Aurelio García who has been confirmed in his post (MercoPress). Bridges, highways, petrochemical, steel and power plants, aqueducts, agriculture, livestock and abattoirs, shipyards and even simple cable cars are among Brazilian major corporations’ contribution to Venezuelan President Hugo Chavez construction of “Socialism XXI century”, according to Fernando Portela president of the Brazilian/Venezuelan Chamber of Commerce and Industry (MercoPress). The South American trade bloc Mercosur launched a plan to adopt common trade, investment and immigration policies to help underpin unprecedented economic growth in the region (Reuters). Member nations of Mercosur will seek to boost economic and political ties with Cuba in a bid to make the communist island an associate member of the South American trade bloc (Bloomberg). You can also follow Brazil Weekly on Twitter at brazilweekly. Be very welcome to join the Brazil Weekly networking and discussion group on Linkedin: Click here. Embraer announced the creation of Embraer Defense and Security, which is an important step in consolidating the Company’s central position in the process of strengthening Brazil’s defense and security industry. Embraer’s new business will surpass 1.5 billion Real in sales next year. In 2009, Embraer had 949 million Reais ($553.8 million) in sales from its defence division. 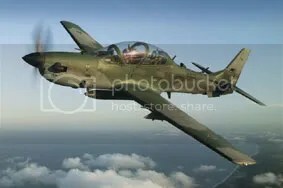 The world’s third-largest aircraft-maker produces the light attack aircraft known as Super-Tucano and is developing a military transport, dubbed KC-390, that should have its first flight in 2014 (MercoPress). Brazil announced over the weekend it has successfully launched a medium sized rocket developed in the country which included several micro-gravity test instruments all of which were rescued from the sea following an 18 minutes flight (MercoPress). Eike Batista, Brazil’s richest man and the world’s eighth richest man said that it’s time for Americans to “wake up” to the economic giant to their south. But many Americans have already been awake to Brazil for at least some time (Forbes). Inflation has risen by it’s highest degree in five years, to 0.83 percent in November, as published by the IBGE (Brazilian Geographic Statistics Institute) (The Rio Times). The BNDES signed a loan agreement with German development bank (KfW) for US$ 68 million to finance projects for small hydroelectric plants (PCH) to be implemented in Brazil by private Brazilian companies (BNDES). 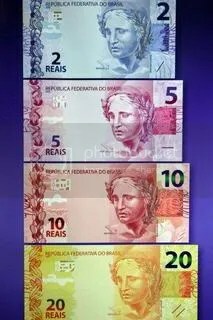 Brazil’s central bank launched new banknotes with different denominations. The new Brazilian real notes have more tactile identification marks to help the visually impaired. Although there are some changes in the design of the new banknotes, the figures and animals on the back of the notes remain the same, with a jaguar depicted on the 50 real note and a grouper fish on the 100 real note. The color of the 50 and 100 real notes remains unchanged (Xinhua, picture from France24). The president of the BNDES, Luciano Coutinho, and the head representative of the Inter-American Development Bank (IDB) in Brazil, Fernando Carrillo, signed a loan agreement in the amount of US$ 3 billion, related to the 2nd Agreement for the Conditional Credit Line (2nd CCLIP), earmarked to finance investments of Brazilian micro, small and medium-sized companies (MPMEs). The 2nd CCLIP comprises three credit tranches worth US$ 1 billion each (BNDES). Brazil’s government unveiled a series of measures aimed at boosting long-term, private-sector credit, a bid to wean Latin America’s biggest economy off state lending to fuel growth. The measures could help Brazil move away from the heavy public lending of recent years that critics say crowded out private credit as the country readies major infrastructure projects for the 2014 World Cup and 2016 Olympics (Reuters). Standard & Poor’s affirmed Brazil’s “BBB” credit rating on strong institutional framework and commitment to prudent macroeconomic policies by the new administration (Reuters). Top company bosses in Brazil are earning higher salaries than their developed-world counterparts in New York and London (Reuters). Brazil’s antitrust agency ordered an investigation into automakers Volkswagen AG, Fiat SpA and Ford Motor Co. to determine whether their policies toward auto-parts providers are abusive. The agency, known as Cade, wants to determine if the automakers are “abusing their economic power and illegally exercising their property rights on the auto parts” (Bloomberg). With Brazil preparing to lift the foreign ownership cap on its air carriers from 20% to 49%, expect more mergers and capital-raising in the next two to three years — and opportunities for foreign airlines to penetrate Latin America’s largest market (Wall Street Journal). 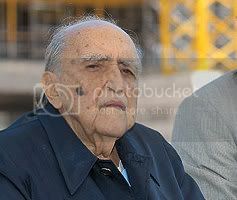 Constantino de Oliveira, the founder of low-cost airline Gol Linhas Aéreas Inteligentes S.A. was arrested in Brasília in connection with the attempted murder of his former son-in-law (Wall Street Journal). Which of Brazil’s airlines will have the better strategy for growth, Gol or TAM. Read an interesting analysis on Centre for Aviation. Petrobras announces the start up of the Extended Well Test (EWT) for the Carimbé reservoir, in the Campos Basin. Discovered last May, the reservoir is located 108 kilometers off the coast of Rio de Janeiro. This test, which is being carried out with well 6-CRT-43-RJS, marks the beginning of pre-salt oil exploration in the central area of the sedimentary basin (BW). 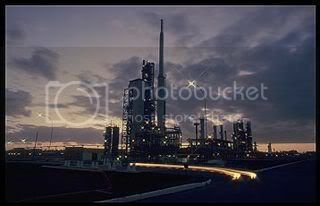 Petrobras acquired 30% of the capital stock of Alberto Pasqualini Refinery S.A. – Refap, for $850 million, being $350 million for Repsol’s stake in the asset and $ 500 million for the corresponding portion of Repsol’s debt in Refap. With this acquisition, Petrobras once again holds 100% interest in Refap, the fifth largest (and very modern) refinery in Brazil (BW). Petrobras sees oil prices in the long term staying between $65 and $85 per barrel, chief executive officer Jose Sergio Gabrielli said (Reuters). Jose Sergio Gabrielli will stay on as chief executive of Petrobras in President-elect Dilma Rousseff’s administration (Reuters). Banco do Brasil SA, Brazil’s biggest federally controlled lender, will announce the purchase of a bank based in Florida by the beginning of next year. Banco do Brasil will also buy another bank in Chile by the end of next year and is looking at other lenders in Colombia and Peru. Within five years, the bank plans to get 9 percent of its profits from abroad, compared with 1 percent currently (Bloomberg). MMX Mineracao & Metalicos SA, the iron-ore miner controlled by Brazilian billionaire Eike Batista, plans to invest 5 billion reais ($2.9 billion) to expand mines in Brazil as Asian demand for raw materials increases. The Rio de Janeiro-based company’s board approved 3.5 billion reais of investment at the Serra Azul project, including a plant to process as much as 24 million metric tons of ore a year. MMX also plans to spend 1.5 billion reais at its 10 million-ton-a-year Bom Sucesso project. Both projects are in Brazil’s southeastern Minas Gerais state (Bloomberg). Picture of the construction of the Acu Superport, near Campos in Rio de Janeiro state. 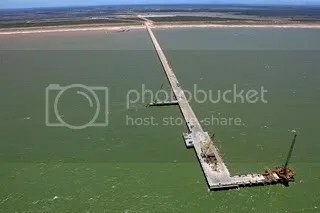 One of Eike Batista’s LLX company’s main projects, this new port and industrial complex will be larger in size than Manhattan. EBX, LLX’s mother company, is also planning to build 85.000 new homes in the immediate area, anticipating strong employment opportunities (picture LLX). Even in a country prone to informality, such as Brazil, certain attitudes or habits may stir controversy or criticism. Before you cross the line and step on somebody’s toe, check these big no-nos, by Deep Brazil’s Regina Scharf. Celebrated architect Oscar Niemeyer has marked his 103rd birthday by opening a museum of his work. The Oscar Niemeyer Foundation outside Rio de Janeiro houses drawings and models from the modernist architect’s 70-year career (BBC, picture from Wikipedia). BHG S.A., Brazil Hospitality Group, owner of the GoldenTulip brand in Brazil, is reporting the acquisition of two projects in Belem, adding another 190 rooms to its network and consolidating the company’s position as the third largest hotel group in the country. Through these acquisitions, BHG has now planted its flag in the north and has a presence in all of Brazil’s regions (BW). The government plans to invest US$600 million remodeling the favelas at the Complexo do Alemão and Complexo da Penha’s Vila Cruzeiro. Last month these two hillsides in Rio’s Zona Norte (North zone) were the scene of some of the worst violent episodes Rio has seen in recent memory (The Rio Times). Luckily there is plenty to offer those ready to explore the hidden beaches dotting the coastline of São Paulo state, or those looking to head inland to discover the lush rolling hills and tropical mountain forests (The Rio Times). The Washington Post has published a very interesting interview with President-elect Dilma Rousseff. She outlines her economic policies, underlining continuity and spending on infrastructure and housing among other things. 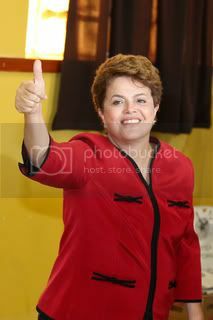 Rousseff also hints at some subtle changes in Brazil’s foreign policy notably vis-a-vis Iran and the US. Brazilian President-elect Dilma Rousseff nominated five Cabinet members from her most important coalition partner PMDB in an effort to secure congressional support for her government (MercoPress). 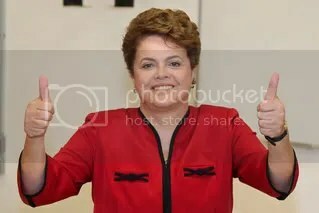 Anyone who had expected Dilma Rousseff to lead a weak puppet government for outgoing President Luiz Inacio Lula da Silva when she becomes Brazil’s first female president next month may have to think again as she tiptoes through the first minefields (Reuters). Brazilian President Luiz Inacio Lula da Silva meanwhile has criticised the arrest of the Wikileaks founder Julian Assange as “an attack on freedom of expression” (BBC). Upon the approval of the amendment of Brazil’s existing oil laws that aims to redistribute oil royalties among all states and municipalities by the lower house of the Brazilian Congress, Câmara dos Deputados (Chamber of Deputies), the tension between the state of Rio de Janeiro, and the nation’s capital Brasília has been escalating (The Rio Times). But President Luiz Inacio Lula da Silva said he would veto a plan to change the distribution of oil royalties among state governments, paving the way for the implementation of a legal overhaul of Brazil’s oil sector (Reuters). Brazil strengthened its links with the Dutch port city of Rotterdam last week during a visit of the city’s Mayor, Mr Ahmed Aboutaleb to Santos, Sao Paulo and Rio. The “world class” Port of Rotterdam (the largest on the Atlantic), is convincingly Brazil’s gateway to the EU, with more than 35 million tons of Brazilian goods passing annually. The City of Rotterdam is also home to large Brazilian businesses such as Petrobras and Braskem. In the wake of the Mayor’s visit, three Brazilian university institutions (USP, UNESP and FGV) now linked up with Erasmus University of Rotterdam and its subsidiaries, such as ISS, RSM and IHS, boosting research and exchange in the fields of logistics, urban development and finance. The Architecture Bienals of Sao Paulo and Rotterdam will extend their already close ties, while Santos and Sao Paulo will work with Rotterdam to counter climate change effects in cities and ports. A general interview with Mayor Aboutaleb (in Portuguese) can be found here and one about climate change here. Brazil is Holland’s main export destination in Latin America and the Netherlands are amongst the largest investors in Brazil, and is the fourth largest export destination for Brazil with US$8.2 billion in 2009 (The Rio Times). Brazil was the last of the so-called BRIC nations [Brazil, Russia, India, China] to recognize Palestine. More than 100 countries, including almost all the African and Arab ones, had recognized it, “so it was the natural thing to do,” a Brazilian official explained to POLITICO. President Luiz Inacio Lula da Silva will not make a decision on a multi-billion-dollar jet fighter purchase before stepping down on January 1, state media reported. Lula told official television station TV Brasil that it would be up to the government of his successor, Dilma Rousseff, to decide the issue (Defense News). But Brazil may face a shortage of jet fighters to defend the country’s capital because it will need to retire by 2014 a total of 12 Mirage-2000s currently dedicated to the defense of Brasilia and based in Anapolis, Goias state. The nation may have to rely on upgraded versions of 1970’s-vintage Northrop F-5 jet fighters for the task (Bloomberg). A longer-range radar-guided version of the Umkhonto air defence missile may be the next joint development programme between South Africa and Brazil, South African state arsenal Denel says. The company’s Denel Dynamics is currently in a R1 billion joint programme with IBSA partner Brazil to develop and produce a fifth-generation infra-red-guided short-range air-to-air missile (DefenceWeb). After issuing a request for proposals in September, the Brazilian air force’s KC-X tanker/transport procurement has taken an unexpected turn. Despite having initially forecast the participation of at least three bidders, sources in Brasilia indicate that Airbus Military’s A330 multi-role tanker/transport might be selected before the end of the year (FlightGlobal). Weak and wasteful schools hold Brazil back. But at least they are getting less bad. Read the full story in The Economist. Brazil’s low place in OECD education rankings highlights one of the few blots on the record of outgoing President Luiz Inácio Lula da Silva. “I’d fail him,” says one education expert. Read why in the Christian Science Monitor. Brazil’s economy will grow at least 7.5 percent in 2010, and probably closer to 8 percent, the country’s finance minister, Guido Mantega, said (Reuters). Representatives of the United States and Brazil have signed an Open-Skies aviation services agreement which will significantly liberalize U.S.-Brazil air services for airlines of both countries over a transition period, according to the U.S. Department of Transportation (DOT) (MercoPress). Embraer and Deutsche Lufthansa AG signed a contract for another eight new EMBRAER 195 jets. The new aircraft will be operated within the Lufthansa Regional family serving national and European destinations. The total value of the deal, at list price, is US$ 338 million, based on January 2010 economic conditions (Embraer, pdf). Embraer is pleased to welcome Saudi Aramco as a new EMBRAER 170 jet operator in Saudi Arabia. Its first aircraft, delivered at the end of November, will be followed by other EMBRAER 170 jets scheduled for delivery by year-end (Embraer, pdf). What kind of a bank is BTG Pactual? One answer must be “a bank unlike any other” given that it had attracted $1.8bn in capital from a consortium led by three of the world’s biggest sovereign wealth funds. The investment is not only the biggest of its kind in Brazil. It is also, as André Esteves, BTG Pactual’s founder, told the FT, “a sign of a new financial order”. So has the focus of the world’s financial industry shifted to emerging markets (Financial Times)? Banco do Brasil SA is talking to Vale SA, Petrobras and other Brazilian companies with operations in Africa about its expansion in the continent, said Antonio Bizzo, head of Europe, Middle East and Africa at Latin America’s largest bank by assets (Bloomberg). 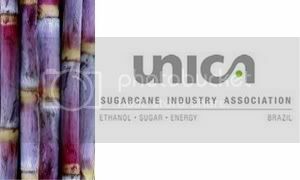 The doubling of import tax on ethanol will escalate Brazil-U.S. trade conflict, the Brazilian Sugarcane Industry Association UNICA has stated. The growth speed of the domestic supply of electricity in Brazil expected to be less than the speed of expansion of the demand by 2019, but still will be above the consumption, says a report released by the Ministry of Mines and Energy (MME) (India-Brazil Chamber). Also, a list made by consultancy Platts, published by Business Insider, highlights companies from emerging countries like Brazil. The Brazilian company Ultrapar has the largest growth in the sector in the world (India-Brazil Chamber). As part of Brazil’s 2010 Alternative Energy Auctions, GE announced deals with four developers to supply more than 400 megawatts of wind-generated electricity to the Brazilian grid. These commitments will be for 258 of GE’s 1.5 and 1.6-megawatt wind turbines (Reuters). 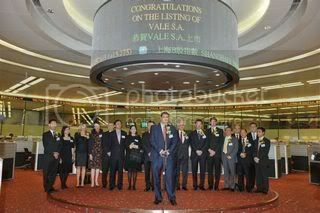 Vale announces the secondary listing of its common shares and Class A preferred shares in the form of Hong Kong depositary receipts (HDRs) on The Stock Exchange of Hong Kong Limited (HKEx) by way of introduction (BW). Anglo American Plc will start building early next year one of its biggest growth projects, the Minas Rio iron ore operation in Brazil, after getting a key licence from the government (Reuters). OGX Petróleo e Gás, the Brazilian oil and gas company responsible for the largest private sector exploratory campaign in Brazil, announced that it has identified the presence of hydrocarbons in the Albian-Cenomanian section of well 1-OGX-25-RJS, located in the BM-C-39 block, in the shallow waters of the Campos Basin. OGX holds a 100% working interest in this block (EBX). Petrobras plans to build three ports and three heliports to provide logistical support for its expanding deepwater oil operations (Reuters). The Brazilian division of Royal Dutch Shell plans to drill ten wells over the next 18 months in the South American country and could participate in future oil field auctions (Reuters). 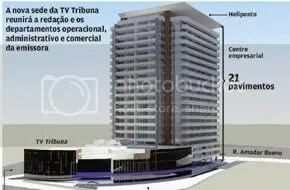 Render of the new headquarters of the media group A Tribuna in Santos (source: A Tribuna). The City of Santos will also see some new Petrobras buildings going up in the Central Business District. The BNDES approved two financing projects within the scope of the Amazon Fund. Valued at R$ 8.4 million, one of them aims at creating the Amazon Museum (Musa), in the city of Manaus (AM), which will honor and conserve the region’s natural resources and cultural heritage. The other, totaling R$ 4.6 million, has earmarked funds for the Muraki Institutional Support Foundation, linked to the State University of Amazonas (UEA), to foster the social mapping of 27 communities in the Amazon Biome and to strengthen a network of research involved in the project (BNDES). Fiat SpA plans to invest as much as 1 billion reais ($585 million) to start making Chrysler cars in Suape, in the northeast of Brazil (Bloomberg). The gritty cop movie “Elite Squad 2” has quickly become the country’s biggest homegrown film of all time, and is on track to surpass overall champ “Avatar” (Reuters). Resting mostly in Mato Grosso do Sul but spreading over parts of Paraguay and Bolivia, the Pantanal is the largest wetland in the world. Eighty percent of the area is flooded during the wet season, providing an enormous region of unparalleled wilderness experiences (The Rio Times). The inhabitants of the Complexo do Alemão and Vila Cruzeiro are starting to believe in a brighter future. But it is a delicate process, as many residents have filed complaints of abuse committed by police during the new occupation. Since the takeover of the area, police officers are going door-to-door in search of drugs, weapons and drug-trafficking related properties (The Rio Times). With the 2014 World Cup and 2016 Olympics on the horizon, authorities are engaging in two simultaneous battles to improve life in the favelas: implementing “pioneering” pacification schemes in the slums and splashing out billions of dollars remodelling the favelas as part of an urbanisation initiative called Morar Carioca (roughly “Rio Living”) (The Guardian). The options for nightlife in Rio de Janeiro have long been famously excellent. The meat markets in Ipanema; the Gentleman’s Clubs of Copacabana; masked balls around the Lagoa; blocos passing along the avenidas; samba in the Sambodromo; chorinho in the street; and lately baile funk parties in the favelas. Rapidly growing in popularity, the district of Lapa has a mix of them all (Gringoes). The army is to take on peacekeeping duties in the poor areas of Rio de Janeiro, which saw a week-long stand-off between security forces and drug dealers last month (BBC). Rio de Janeiro will receive a 150 million US dollars loan from the Inter-American Development Bank (IDB) to improve living conditions in low-income neighborhoods, known as favelas (MercoPress). Rio de Janeiro state Governor Sergio Cabral said he will propose the global legalization of “light” drugs such as marijuana (Bloomberg). Congressman Antonio Palocci will head Dilma Rousseff’s team when she takes power January 1. Chief of staff is seen as the most powerful Cabinet post (MercoPress). The Brazilian opposition has criticized the purchase of a new presidential aircraft for president-elect Dilma Rousseff claiming it is excessively luxurious and expensive (MercoPress). According to documents found among those released by Wikileaks, Brazilian president Lula da Silva concludes his eight years in office with a performance marked by open corruption “among his closest political allies”, with a “plague” of vote-buying in Congress and the ruling party, and without having given a reply to the issue of crime (Mercopress). Rooted in democracy and economic stability and propelled by President Lula’s extraordinary popularity and assertive foreign policy, Brazil’s recent rise has allowed the country to gain a new global pre-eminence despite its failure to achieve the stated goals of its international strategy. Consolidation of the nation’s place and influence will depend as much on its ability to tackle domestic vulnerabilities, such as low competitiveness and low savings and investment rates that limit potential economic growth, as on its capacity to calibrate ambition to its position in the redistribution of international power under way in the early twenty-first century (UK Politics, pdf). Brazil recognized on Friday the state of Palestine based on borders before Israel seized control of the West Bank in 1967. The foreign ministry said the recognition was in response to a request made by Palestinian President Mahmoud Abbas to President Lula da Silva earlier this year (MercoPress). Israel’s defense industries are anticipating substantial orders from Brazil in the coming years after both countries signed a security cooperation agreement. The state-owned Israel Aerospace Industries (IAI) is expected to sign a first agreement to sell an assortment of its goods to Brazil’s Federal Police, including Unmanned Aerial Vehicles (UAVs), an area in which it specializes, radars and sensors, unmanned vehicles, electronic fences, optics and satellite technology (Xinhua). The United States saw big opportunities in helping Brazil boost its military capabilities as a way of “supporting U.S. interests,” diplomatic cables revealed by WikiLeaks showed. Two documents, sent in January 2009 by then-ambassador Clifford Sobel, predicted that a new Brazilian defense strategy drafted the year before by President Luiz Inacio Lula da Silva’s government would “lead to Brazil becoming a more effective security partner” (DefenseNews). Rio do Janeiro media have disclosed that the Brazilian government wants to use unmanned air vehicles, VANT, along the border areas of neighbouring countries, Paraguay, Bolivia, Uruguay and Colombia (MercoPress). Brazil has deployed a 1,500-strong security force to patrol borders with Paraguay and Bolivia to curb the smuggling of weapons and drugs by organized crime, O Estado de S. Paulo reported. More than 80 percent of the arms and drugs smuggled into Brazil enter the country through those borders, the Sao Paulo- based newspaper reported, citing Brazil’s Federal Police (Bloomberg). The Brazilian population reached 190.73 million people in 2010, increasing 12.3 percent in the past decade, according to the country’s latest census released (Xinhua). For years, the local subsidiary of Carrefour (France) has vied for pole position in Brazil’s retailing sector with Pão de Açúcar, a local chain controlled by Casino (also France). But now a corporate scandal in Brazil has led Carrefour, the world’s second largest retailer, to take a one-off charge of €550m (US$723m) this year. The result has not only forced Carrefour to downgrade its 2010 profit target; it has also forced a widespread review of Brazilian business practices (The Economist Intelligence Unit). Brazil’s real BRBY, one of the world’s most overvalued currencies, has begun creeping back towards the two-year high it hit in October. Exports are harder to sell abroad, manufacturers are struggling to compete with a flood of cheap imports and the current account deficit has reached record proportions. If the real strengthens past the closely-watched 1.70-per-dollar level, the following measures could be taken according to Reuters. Risks that investors will face in Latin America’s largest economy over the next 12 months include slowing economic growth, heightened intervention to stem a currency rally and an increased role of the state in key industries (Reuters). Brazil expects a more complicated recovery due to uncertainties in U.S. and European economies, the country’s deputy central bank governor, Luiz Awazu Pereira da Silva, said (Reuters). Brazil’s civil aviation regulator suspended sales of domestic tickets by airline TAM for all flights through Dec. 3 after cancellations and delays topped the industry average (Reuters). Royal Bank of Scotland is planning to launch a Brazilian global markets venture before the end of the year, as the UK government-owned lender seeks to re-establish itself in key emerging market countries following three years of retrenchment (Reuters). Banco do Brasil SA may complete the purchase of a 10 percent stake in Santiago-based lender Corpbanca by the end the first quarter next year (Bloomberg). The launch of Honda’s CG 150 Fan, the third Flex-Fuel motorcycle introduced in Brazil by the Japanese manufacturer, is a testament to growing consumer demand for this type of product on the market. According to the Brazilian Sugarcane Industry Association (UNICA), the success of motorcycles that can handle gasoline and ethanol, launched in Brazil by Honda in 2009, is similar to what happened with Flex automobiles (UNICA). Brazil’s sugar and ethanol industries will need $36 billion in investment by 2020, said Andy Duff, a food and agribusiness researcher at Rabobank (Bloomberg). IMG Worldwide, the sports and entertainment giant, has formed a joint venture with the Brazilian conglomerate EBX Group to develop sports businesses in Brazil. Behind the deal are two charismatic billionaires: Ted Forstmann, the owner of IMG, and Eike Batista, founder of EBX. The two men are looking for opportunities in a country with a vibrant economy. Sports-crazed Brazil is also hosting the World Cup in 2014 and the Olympics in 2016 (New York Times). The 2016 Olympic Games in Rio have signed up their first domestic sponsor. Brazil’s second-largest bank, Bradesco, will pay at least $320m (£205m), which is the minimum sum set by the games’ organising committee for the finance and insurance services categories (BBC). According to the BBC, FIFA board members Ricardo Teixeira of Brazil, hosts of the next World Cup, Confederation of African Football (CAF) chief Issa Hayatou and South American (CONMEBOL) head Nicolas Leoz took bribes (Reuters). In a clear signal of the lack of qualified labour which is suffering the booming Brazilian economy, the powerful Marfrig meats’ processing group admitted it was having difficulties to fill 3.000 vacancies with competent personnel (MercoPress). Vale inaugurated its Tres Valles copper plant, the mining company’s first project in Chile. Located in Salamanca in the IV Region of Coquimbo, the plant, whose annual production capacity will be 18.5 kt of copper cathodes, will be the company’s first to produce cathodes on an industrial scale using the hydrometallurgical process. Total investment in the construction phase was US$140 million (BW). Operational profit at Brazil’s Gerdau, the world’s No. 2 maker of long steel for the construction industry, is unlikely to improve in the 2011 first quarter due to weak demand, persistently high raw material costs and fierce competition (Reuters). Brazil’s Congress has modified laws relating to the country’s oil sector which could increase development of its offshore oil fields. The bill ensures that the state-run oil company Petrobras will have a 30% stake in any new joint exploration ventures in Brazil’s offshore fields (BBC). Petrobras may import as many as 40 cargoes of liquefied natural gas by the end of the year. Irregular rainfall affected hydropower production in Brazil this year and the country turned to gas to produce electricity, Marcio Demori, LNG trading manager for the company said at the World LNG Summit in Barcelona (Bloomberg). Petrobras reports that it opened up the commercial bidding on three tenders for up to 28 rigs, all to be built in Brazil, to meet the demand for drilling in the pre-salt area. The three tenders will be handled by their respective bid committees who will evaluate all the proposals before releasing the final result. Petrobras is yet to decide on the number of rigs to be contracted for each type of operation, depending on the number of proposals submitted, the benefits offered and the timeframe (BW). Petrobras Chief Executive Officer Jose Sergio Gabrielli said he’s only guaranteed to remain at his post until Dec. 31, when Brazilian President Luiz Inacio Lula da Silva leaves office. O Estado de S. Paulo newspaper reported Nov. 7 that Rousseff may name Maria das Gracas Foster, the head of Petrobras’s natural gas and energy divisions, to replace Gabrielli or as cabinet chief (Bloomberg). The future Museu de Arte do Rio de Janeiro (MAR) on Praca Maua, part of the huge Rio docklands development called Porto Maravilha. Brazilian President-elect Dilma Rousseff is expected to create the Ministry of Communications to regulate the media sector, incumbent president Luiz Inacio Lula da Silva said (Xinhua). Petrobras announced the discovery of a new onshore ‘light’ crude oil field in the Amazonia state, for which Petrobras owns full production rights. The new well was drilled near the town of Tefe, around 600 kilometers from the Amazonian capital of Manaus, and lies within the Solimoes Basin (The Rio Times). Deforestation in the Brazilian Amazon has fallen to its lowest rate for 22 years, the government says. Satellite monitoring showed about 6,450 sq km of (2,490 sq miles) of rainforest were cleared between August 2009 and July 2010, a drop of 14% compared with the previous 12 months (BBC). It was the early 1900s and American Percival Farquhar was a man with a mission, determined to succeed where others before him had failed. The wealthy entrepreneur from Pennsylvania had been granted the concession by the Brazilian government to build a railway to help transport rubber from Brazil and landlocked Bolivia to the outside world. Now the “Devil’s railway” is coming back to live again (BBC). One could say that Aracajú suffers from the middle child syndrome. Located midway between two popular tourist destinations in the Northeast of Brazil – Salvador, Bahia and Maceió, Alagoas – Sergipe’s capital city is commonly overlooked. For the lucky ones that do visit, Aracaju offers unspoiled beaches, a safe and well-organized urban space, and outstanding local cuisine (The Rio Times). For those wanting authentic Rio nightlife, Lapa is the place that you are looking for. In the main streets of the neighborhood there are many bars and music venues full of young people, especially on the weekends. Looking for the right place to enjoy a good evening in the historic center of Old Rio, the Rio Scenarium is a great venue to discover (Rio Official Guide). Every four years, just before newly elected state and federal governments take over, Rio de Janeiro’s drug gangs start to throw their weight around. This time has been no exception. Just over a week ago, they began hijacking cars and buses, ordering out their occupants and setting them alight, in a show of force and an attempt to terrorise the city (The Economist). It was a moment that residents of Rio de Janeiro thought would never come. For decades many of the city’s favelas have been ruled by drug traffickers or militias. Sporadic flare-ups would see the police go in to these self-built settlements seeking revenge, only to pull back leaving bodies scattered and the gangs to return to business. But last month when the city’s two main drug gangs began hijacking and torching vehicles at gunpoint, this time the authorities’ response was different (The Economist). The series of violent attacks and confrontations that have blazed across Rio in the past week prompted officials to conduct the largest police operations in its history. Multiple organizations collaborated to pursue and overwhelm armed gangs of drug-dealers and criminals that have long since controlled large favela areas of the city (The Rio Times). 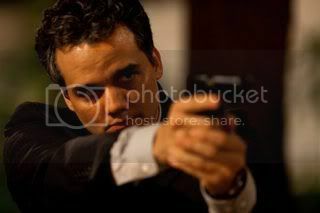 The epicenter of the recent violence and massive police operations, Vila Cruzeiro was put on the world map last week. The community has existed for around forty years, and is located in Penha in Rio’s Zona Norte (North zone). The areas has between 40,000 – 70,000 inhabitants, who all – as oppose to other, newer favelas – have water, gas and electricity (The Rio Times). Rio’s top security official cheered the capture of what was long the most dangerous slum in this city that will host the 2016 Olympics, and within hours he was already setting his sights on the next target (Washington Post). The BNDES has approved R$ 33.9 million in financing for investments in the environmental sanitation area, to be performed by Estre Ambiental, a Brazilian company that operates in the solid waste management sector and the treatment of degraded areas (BNDES).